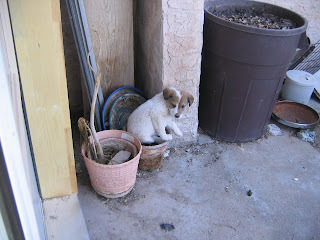 Bitsy is a Pyrenees/Lab cross puppy. 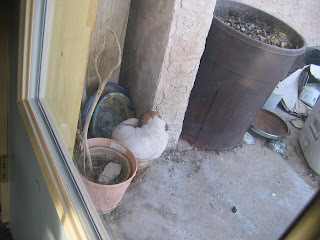 Found sleeping in a flower pot on the patio. She is about 2 months old here. Opened the door and she woke up.